Return to the series origins – Discover the truth behind the horrors in the Resident Evil mansion, as well as what led up to them, in these titles which mark the beginning of the Resident Evil timeline. It looks ok, except for that note at the bottom. Wish it was all there. I’ll have to pass on this one. I’ll just get the REmake digitally then. Never cared for RE 0. Digital games are worthless to me, especially on Nintendo consoles with how fast they shut down their servers for older systems. How fast? what? Wii’s online store has shutdown last year. Thts 12 years of it being up, thts nowhere near as “fast”. Unless ur talking about Online multiplayer then thts still 9 years. Besides with wht we hav and know for the future is tht future consoles will b able to play all games from past generations without issue. Say like if u get PS5, it can still play all PS4 games then when PS6 comes u can play all PS4 and 5 games, etc. Online is becoming more viable in the future but currently emus are ur only true source of gaining access to nearly all games of our history. It was only 6 years after the Wii’s end of life (2012, when the Wii U was released) that the servers were shut down and game couldn’t be re- downloaded. It was even less for the DSi. Arguing that everything from here on out will be forwards compatible is arguing without a basis. Nintendo and Sony sure hasn’t set a precedent yet and only some of the 360’s games transfer to the Xbox One. Also, the Switch isn’t running on an x86-64 architecture (what PCs run on) so there’s absolutely no guarantee that Nintendo won’t abandon what they’re using now for it later. lol At least have the remake of the original Resident Evil as the physical game & 0 as the digital download. It feels weird having a prequel that came out many years after the original game being the physical one of the two. Does anyone know if its coming physically in any other region? Those outdated looking characters always turned me off on these early Resident Evil games. And I played through about half of the first Resident Evil on Gamecube and didn’t care much for it. I hated those fixed camera angles. For the love of cheese pizza, why does Capcom keep destroying their physical Switch releases by making them half digital? This is why I bought the PS4 versions of The Mega Man Legacy (and X) Collections. Do they realize that a lot of people pass on buying when they read the words “download code”? I’m not overly bothered by these 2, but if they were all physical and not half and half malarkey then I would of purchased them to experience the games on the switch and add them to my collection, but the incentive of buying them is dwindled by this. RE4 was just the best. I hope I can play with the joy cons. such an awful coverdesign. I really liked the minimalistic Cover of the european version of RE Remake on gamecube although it might look a bit cheap today. 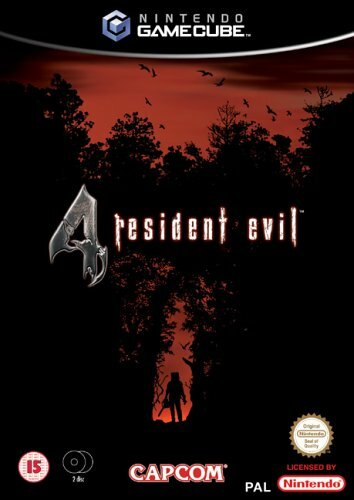 Zero looked better and the cover of RE 4 would and should still work perfectly fine today (https://images-na.ssl-images-amazon.com/images/I/41P753A6H0L.jpg) I’d reall hate it if they also prefer to use something as cheap looking as this here. A Cover with just a font is like a book. Especially in the case of a RE game, it feels like it doesn’t wanna spoil anything to come. These are just like their audience are 6yr olds who expect a fast paced actiongame.